Colorful Passport takes it’ s name from the connotation of colourful revolutions of Eastern Europe, and it inquires the traces of the search for a “new identity” after the collapse of socialist modernity in Eastern Europe. 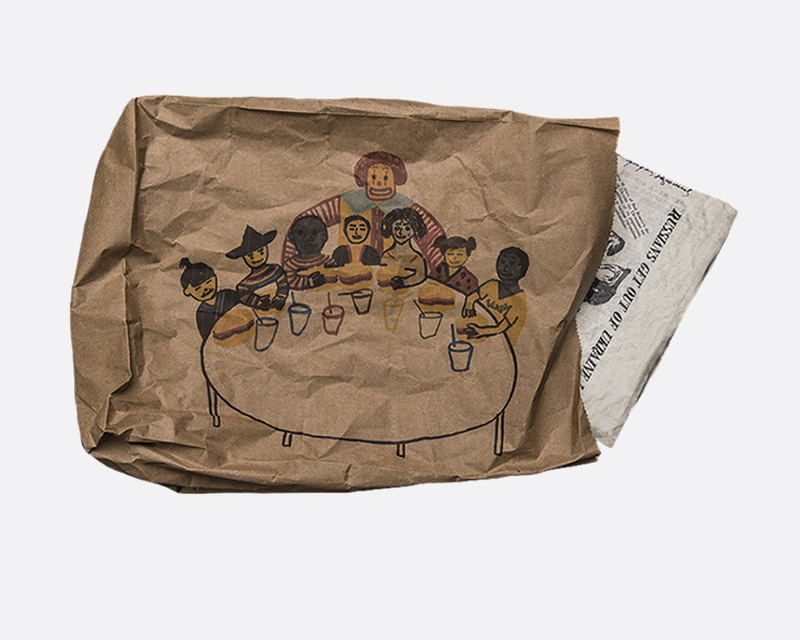 In a paper bag, on which the images of McDonalds advertisements between 1960 and 1980 are sketched appears the book. 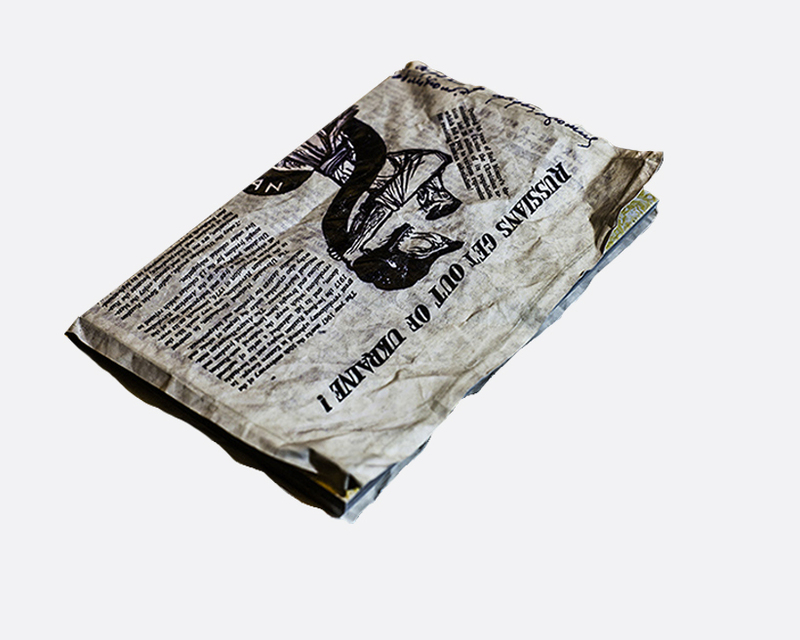 It is wrapped with anti-Russian bulletins of Ukrainian nationalists, published in USA in 1960s. The book starts with the utopic society scenes from Soviet Union, and goes ahead with the photographs that depict the collapse of the utopia and the crisis of the new neoliberal utopia. The story itself tells the story of the subject in Eastern Europe which is demolished and passivized by tampering its identity.